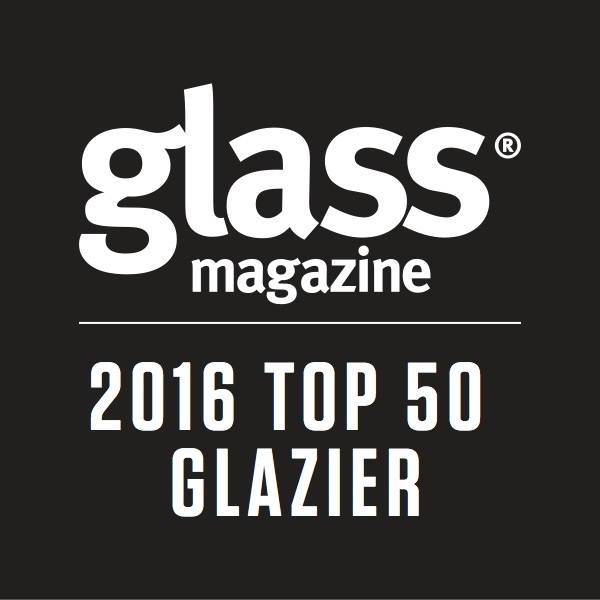 MG McGrath Architectural Glass & Glazing is very proud to have been recognized by the National Glass Association as a Top 50 Glazier of 2016. Their annual Top 50 Glaziers list was published in the June 2016 issue of Glass Magazine. “The ranking presents what Glass Magazine editors believe to be the 50 largest contract glazing companies in the U.S. based on 2015 sales volumes. In addition to the ranking, the issue includes a statistical look at the U.S. glazing market, and top challenges and solutions from glass and glazing suppliers. Founded in 1948, the National Glass Association (NGA), www.glass.org, is the largest trade association serving the architectural glass and metals industry, and represents the interests of glazing contractors, glass retailers, glass fabricators, primary glass manufacturers and architects. The NGA provides education and training programs and services for its member companies and keeps them informed through its official publication Glass Magazine’s print and electronic publications. The NGA also produces the industry’s largest annual trade show in the Americas, GlassBuild America, and hosts the Glazing Executives Forum, bringing together thousands of industry professionals to help them build more profitable businesses.